Do you feel out of place as a single woman in your church? or that Jesus is your husband…and more? I never envisioned myself being single and in my 30s. The only thing I ever wanted to be was a wife and mom. I had no great aspirations beyond that (well, maybe I dreamed about being a famous singer a time or two….). But there I was, in my 30s and no boyfriend, no husband, and no one I’d even consider to be either of those. I will admit, I was a little devastated by it. Both of my siblings were married and had kids, most of my friends were married and had kids, and I’d heard every comment, every so-called prophecy, and every comment disguised as a prayer that you can imagine. I would have said that in those words if I had understood at the time that it was what I was truly feeling. Marriage did eventually happen for me at 34. In all my desire to be married, eventually getting married, and being a wife for over a decade now, I’ve learned some things that I’d like to share with all my single friends. I hope this will encourage your hearts! I wish I had understood these three things much earlier before I got married. 5 years before I met my husband, I went on a dating hiatus. I didn’t set out for it to last 5 years, I simply knew that there was something broken in me that God needed to fix because I had a long string of failed relationships behind me with guys that I had no business dating in the first place. My heart was broken, my self-worth was shattered, I had been in an abusive situation that I had only narrowly escaped, and I knew that before going into a new relationship I needed Jesus to heal whatever it was in me that kept me going from bad to worse. Because at that point, I didn’t even want to imagine what could be worse than what I’d just been freed from! It was during these five years that I learned these three things. I know in the church we would never admit that we think this way, but unconsciously we do. The older a single person grows, the more desperate married people become to rescue them from singlehood, as if their singleness is somehow negative. Even worse, many single people are left with the impression that their singleness is somehow not pleasing to God. In fact, I’ve read books written to married women that imply – or outright state – that women are created for marriage. We are created to glorify God, whether it be as a single woman, married woman, mom, empty-nester or widow. We can fulfill the purpose for which God created us no matter our station in life. While the Bible speaks a lot about the importance of marriage, it also speaks to the importance of being single. In 1 Corinthians 7 Paul encourages those who are single that they are able to devote themselves to the Lord in a greater capacity because they do not have the added responsibilities that married people do. The conclusion is: singleness is not a disease to be rescued from, it is not a displeasing status in life, but it is a season of life – or even a lifestyle – in which you can fully devote your life to serving the Lord with a passion that will bring you tremendous fulfillment. I think at one point or another most single people fall into this trap. Thankfully, I do believe many realize the trap for what it is and come to the correct conclusion that marriage will not solve their problems. Before I met my husband, I was engaged to someone else. What should have been one of the most exciting and happy times of my life was a living nightmare. My fiance was manipulative and abusive; and everyday I lived in terror that something I said or unconsciously did would set him off. Thankfully, only a few months before our wedding, I walked away from him for the 3rd and final time. But I learned a very important lesson through that: marriage wont solve your problems. It can, in fact, create new ones…or at the very least exacerbate the ones that are already there. While I wasn’t married yet, the closer we got to our wedding the worse our problems became, and I began to imagine living with that man as my husband 24/7, unable to escape his silent treatments, destructive words, and out-of-control anger. It was then that I realized that while as a single person I’d felt lonely and longed for that deep human connection with someone, marriage wouldn’t solve it. The fulfillment and satisfaction – the sense of belonging – wouldn’t happen for me in marriage. I needed to find those things apart from marriage, because it is entirely possible to be married and lonely, unfulfilled, and dissatisfied. God didn’t create humans to be the source of happiness, fulfillment, and satisfaction for other humans. That burden is far to great for someone to carry. He created us to find our joy, fulfillment, and satisfaction in Him – and when we do, we release those around us to be who they were created to be: companions. If you think your purpose is tied to being married then you don’t understand your purpose at all. Women were not created solely to be wives and mothers. Yes, biologically we are created with that function, but there have been many women throughout history who have accomplished great things for the kingdom of God and were never married and were never mothers. I think of Amy Carmichael and Gladys Alyward – two amazing missionaries through whom many, many people came to Christ, and whose impact and legacy lives on today. They never married. But they knew their purpose – and it had nothing at all to do with marriage. They were just as able to fulfill that purpose as single women as they could have if God had sent them a husband. Their purpose didn’t depend on them being married. Nor did it depend on them being single. If you know your true purpose, whether or not you get married, you will be able to live a life of joy, fulfillment and great satisfaction in Christ while serving and glorifying Him with your life. The single greatest purpose we have as humans is to glorify God. That is why we were created. How we accomplish that purpose varies depending on our gifting and calling. If you don’t know your calling, I encourage you to get alone with God in prayer – and possibly fasting – and ask Him to reveal that calling to you. Then, I encourage you find a mentor, someone whom you trust, who you know is discerning and wise, and who clearly and consistently hears the voice of God, and allow them to confirm what God spoke to you in prayer. In 2003 I felt God call me to Croatia as a missionary. I had no reason at all to believe that I’d meet my husband here. All I knew was that I could either sit around and wait for something that may never happen, or I could roll up my sleeves and go about the Father’s business. I found my purpose and I heard my calling. My dear single friend, you are not a second-class citizen in the body of Christ. You are not incomplete because you are not married. You are complete in Christ just as you are. Your singleness is not a disease that you need to be healed or rescued from. Find your joy, satisfaction, fulfillment, purpose and calling in Christ so that whether or not God sends you a husband, your life glorifies Him and blesses those around you. You can have complete joy now! You can be fulfilled now! You can walk in your purpose and calling now! Let God use you for His kingdom to fulfill your purpose and calling today. Thank you Rosilind.This is the kind of encouragement I like reading as I wait on God. Corrie Ten Boom is another woman who inspires me,she also fulfilled her purpose as a single woman. Yes! Corrie Ten Boom is another wonderful and inspiring example. 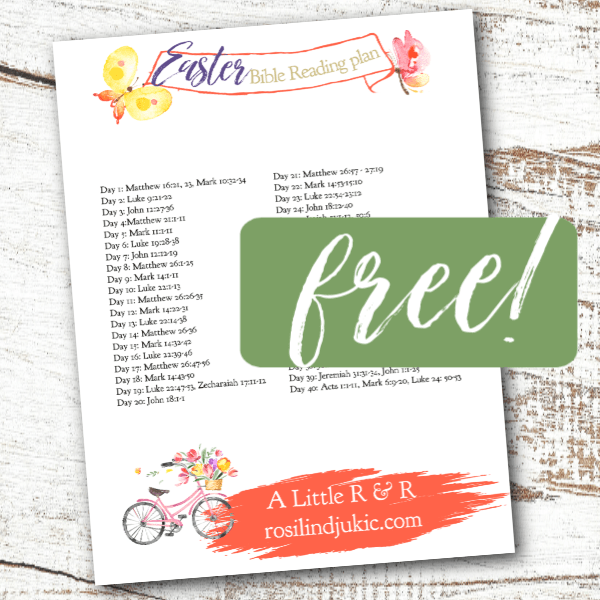 Thank you so much for this Post Rosilind! My husband, soul mate, best-friend, died 3 years and one month ago. I have been incredibly sad and lonely feeling incomplete! You message is powerful and I will reread it over and over until your truth seeps in to my hurt! Dear friend, my heart goes out to you today and I am praying for you. I honestly cannot even fathom what it must be like to lose your husband. I pray that the Holy Spirit continue to comfort your heart as you navigate this new season of life. Thank you Rosilind for writing about singles. I’ve been divorced for almost 20 years and haven’t dated much, but this past year I’ve had to say “no” to several single men who were interested in me, but for one reason or another, they weren’t what I’m looking for. I unfortunately last dated a never-married, retired Hindu man 18 years older than myself for the past 3 months and he’s been hard for me to let go of! Oh, my God, it’s been so hard. We met at a contra dance and I invited him to church. He took me up on that offer and then started inviting me to meet him at different events, like the art museum, different things in our city, dancing, eating out. All the while I wanted to break it off as it’s unscriptural to be unequally yoked to a non-believer, but I just didn’t have the strength to do it. This man is not attractive physically, but I did enjoy conversing with him (he has a P.h.D and was a nuclear engineer). Then I began to enjoy someone giving me attention and things like that. Anyway, I finally broke up with him last week and it’s been terribly hard. Sometimes I wish I was still attached to him. A male friend told me that my problem with this attachment sounded demonic by the way I was just obsessed and felt a compulsion to be with him despite knowing the implications. So, yes, sometimes it’s just easier to be single than to go thru a relationship. P.S. – I’m not dating anyone now and going to a Divorce Care class once a week in the hopes of pulling myself back together. Some days I’m quite OK and other days I just fall all to pieces. oh friend, I feel your pain. I’ve been where you are. I agree with your friend. This is much of what it was like for me in the abusive engagement I was in. It was clearly a dangerous relationship but I was obsessed and felt a compulsion to be with him. When I finally broke off the engagement and walked away for the final time (we’d broken up a number of times before), my eyes were opened to see the demonic pull that was there. And I did label it demonic, because it was truly a satanic strategy against me to destroy me. It took a great amount of prayer and healing to get me past this, but please remember that He who is in you is GREATER than he who is in the world. There is healing and restoration for you. I believe that labeling this for what it is will go far in putting things right. When I said aloud to my mom that the manipulation we felt was demonic (using that very wording), something inside of me broke and I truly was set free. From that very moment I never felt a desire to return to that relationship. Thank you, Rosilind. It’s comforting to know that you had to try several times to break off that relationship, as this is what I’m doing. I’m trying to remain friends with this person, but I don’t know if that’s even going to be possible. For instance, I saw this person Monday to return his lounge chairs while at a meetup at the mall and he wanted to show me his recent vacation photos and buy me a little dinner, so I said OK. Then yesterday he called and left a voicemail inviting me to a weekend of contra (folk) dancing. Well, I don’t want to be rude, but I just told him last week I’ve decided to quit dating for awhile, and however long that is, I don’t know. I do know that Jesus is not going to give me a Hindu husband, and the Holy Spirit told me “absolutely not” to that. Please pray for me that I’ll realize that I can’t be just friends and even though he’s a very interesting man, I need to stop the conversation. I hope that things are going well for you, now. Sometimes making a total break of things helps to clear our head and heart. Allow God’s Word to fill that void, and begin building your heart in faith that God has the very best plans for your life. We live in a culture that supposedly applauds the single, professional woman who goes after what she wants and builds a life for herself, yet the reality is that we are nurtured by family, firends and church to believe (frome the very earliest years) that marriage is good, the end goal of life. We have ‘arrived’ when we are married with children. The church, unfortunately, builds its programs and activities for families… and does not, in far too many cases, recognize the needs of single people. It is just assumed they are in a holding pattern waiting for marriage. No one seems to know how to deal with ‘them’. They become the ones to be introduced to other single people not because of similar interests, but because of singleness. Matchmakers crawl out of the wood work to do their duty to bring single people together. As a single woman I have come to a place of contentment with who and where God has called me to be. We need more people to realize that singleness is not a condition needing changing, but a real, viable place of rich and rewarding relationships and service. We are not on hold until God breathes life into us through marriage. We are whole, living, vibrant women of God, loved by God NOW. Thank you for sharing your experience and thoughts. God bless you. 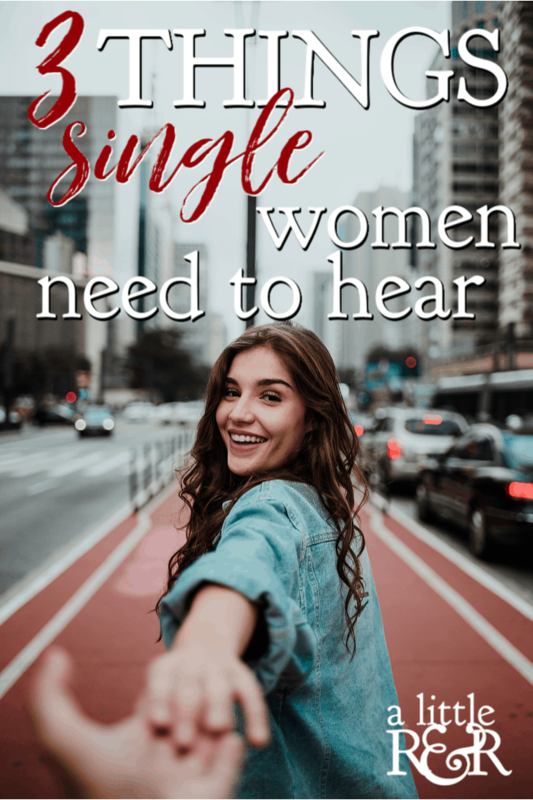 I agree, the church largely fails to recognize the needs of single people and sort of assumes they are in a “holding pattern” as you said (great illustration!) for marriage. I do think this is an area that could use improvement, because for the most part, most single’s ministries I’ve seen more resemble a dating service than a ministry. That said, I was once involved in a singles group that was truly a ministry. I never felt on inspection when I showed up, and most of those who attended truly were there to seek God, not a mate. I’ll never forget the time I attended there. It was a great ministry and encouragement for me, and a time a tremendous spiritual growth. I would love to see this replicated more. I am so glad you wrote this, and am very happy to know you did not marry the abusive man. The man that I married was not as overt about his manipulation and “its all about me” attitude. This came later. It started to show when we would have a disagreement and he would abandon me for hours, leaving me to think he would never come back. Then one day, in the car, when he couldn’t just leave he punched me in the leg. Eventually, things got bad enough that I would walk on eggshells, trying not to upset him or give him a reason to tear me down. He would make comments like “You are so beautiful” followed the next day by “You need to lose weight”. At the end, he started wanting me to engage in acts with other women where he could watch. He would try to get me drunk so I wouldn’t resist what I knew was sinful. I began to dread going home after work, despite have two beautiful children at home, whom I am grateful to God for blessing me with. After 13 years of marriage, he finally decided to leave, stating that he could not fix me, and even to this day, 14 years later, I still endure his abuse and narcissism. I still walk on eggshells to avoid giving him a reason to speak against me. Even his wife, for whom he left me after cheating for 3 months, engages in putting my children and me down. She doesn’t even know me personally. I am left feeling like I am the bad one for not making it work out better and that I will never be a good wife for any other man. I know this is not true and that God did not intend for me to be with my ex forever. The lessons I have learned were intended for me to pass on to my children about healthier relationships and how to recognize when it is toxic. Despite it all, I still struggle with what I feel versus what I know to be true. I am working on healing this part of me, as I know that God is working in healing this part of me. Thank you again for your wisdom and inspiration. It gives me courage in my singleness. Dear friend – I was so sad to read your story. Please know you are not alone. I have talked to so many who have been through similar situations. I pray that as you meditate on God’s Word that He will continue to heal your heart and your mind so that you truly know how cherished you are!